Are you planning on taking a day trip away from Melbourne with your family but have no idea where to go? We’ve picked out the best points of interest where you can enjoy a day trip from Melbourne with your family. 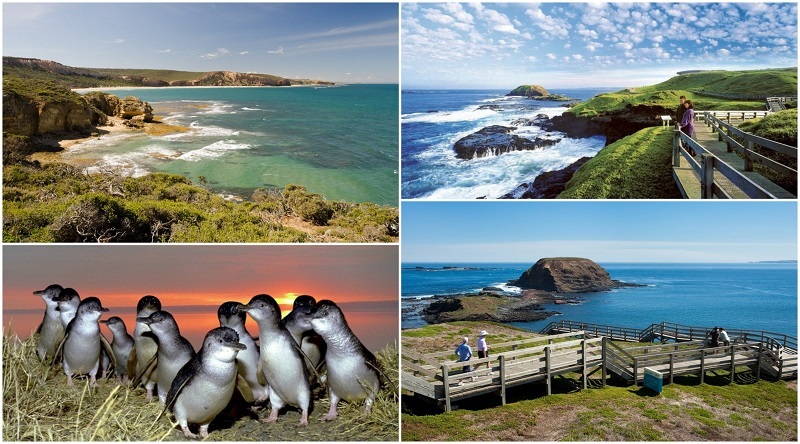 When visiting Phillip Island, there’s one place which is definitely not to be missed – Phillip Island Nature Parks. From the world-famous Penguin Parade to a virtual Antarctic tour, there’s much to see and do for the whole family. Visitors can also enjoy a Wild Ocean EcoBoat Tour to see the nearby seal colony up close and explore the rugged yet stunning coastline of Phillip Island. What are the main attractions families can see at Phillip Island Nature Parks? Penguin Parade – The reason many visitors come to Phillip Island is for the penguins, of course! Antarctic Journey – Packed with immersive and interactive exhibits, be taken on a journey south to Antarctica and the wild waters of the Southern Ocean. Enjoy hands on activities in ‘The Lab’ or put yourself in the picture with augmented reality technology to make you feel as though you’re standing on the ice yourself. Churchill Island – Take a step back in time and enjoy the heritage at Churchill Island. Wild Ocean EcoBoat Tours – Step aboard for a tour and see more of the island from its rugged coastline to the seals who live close by. 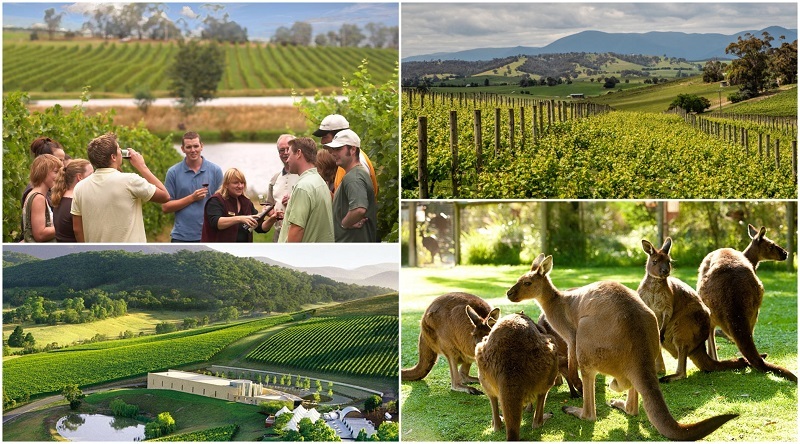 The Yarra Valley is a beautiful green belt of gently sloping hills which provide the perfect environment for vineyards. Families can enjoy the beautiful country scenery and escape this bustling lifestyle of Melbourne CBD. Visit different wineries and learn about the Australian wine making industry and if you’re over 18, try a sample glass or two. What else can families see and do besides wine tasting in Yarra Valley? Wildlife – you’re bound to spot a few kangaroos hopping in the fields on either side of the road. Home Cooked Food – Enjoy a homely cooked meal for lunch. Most vineyards are also well known for their fresh produce. Natural Scenery – You won’t miss the endless green lush scenery as you make your way from Melbourne to one of the many vineyards located in the Yarra Valley. Sovereign Hill is a fun family theme park that will take you back in time to the day’s of Australia’s gold rush. 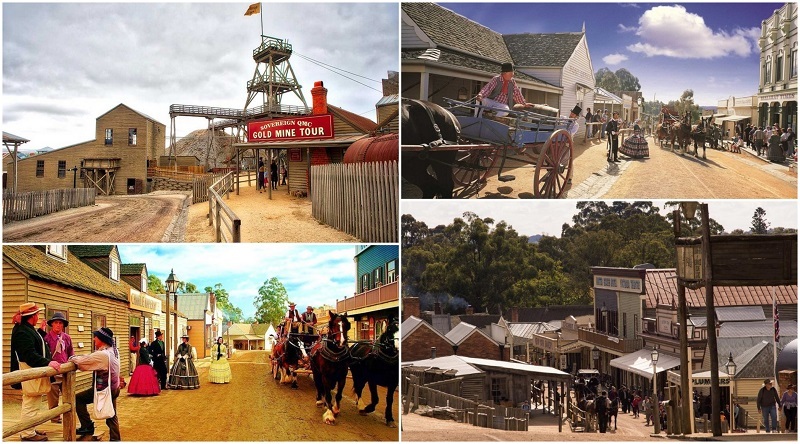 In the style of a living museum, Sovereign Hill comes alive with theatrical street performances, live music and genuine mining tales from a costumed guide. What are the main attractions your family can enjoy at Sovereign Hill? Find gold – Pan for gold in Sovereign Hill’s very own little river. You might get lucky and find a nugget! Mine Adventure – Jump in a mine tram as it takes you deep into a mine. You’ll learn about the dangers of mining and hear stories of trapped diggers. Trades, Crafts & Stores – Visit various stores to see live demonstrations including candle creations, tin making, saddle strapping, a real blacksmith and much more. Gold Museum – See precious collections of gold, jewellery and souvenirs. 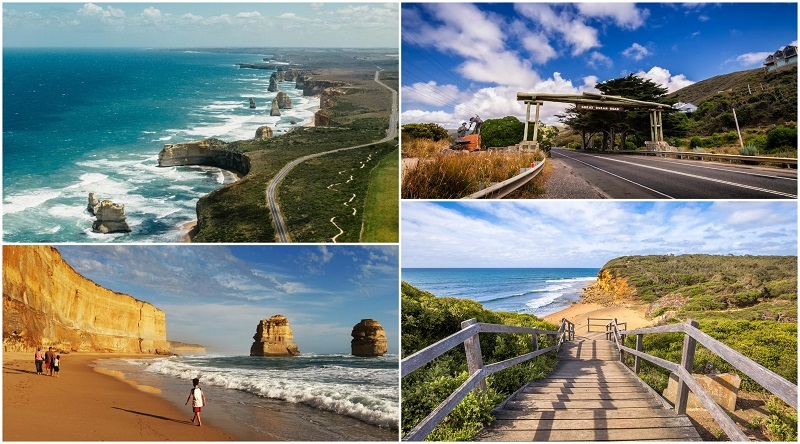 A 243 kilometre long stretch featuring some of Australia’s best coastal scenery, the Great Ocean Road should be high on every visitor’s must-see list! Officially starting in Torquay, take a few days to make the drive as there are plenty of great places to stop and explore along the way before it finishes in Allansford. With world-famous sites like the 12 Apostles, some of Australia’s best surf breaks and ample places to stock up and dine on local produce, your family will be kept super busy and wishing they had more time to spend. 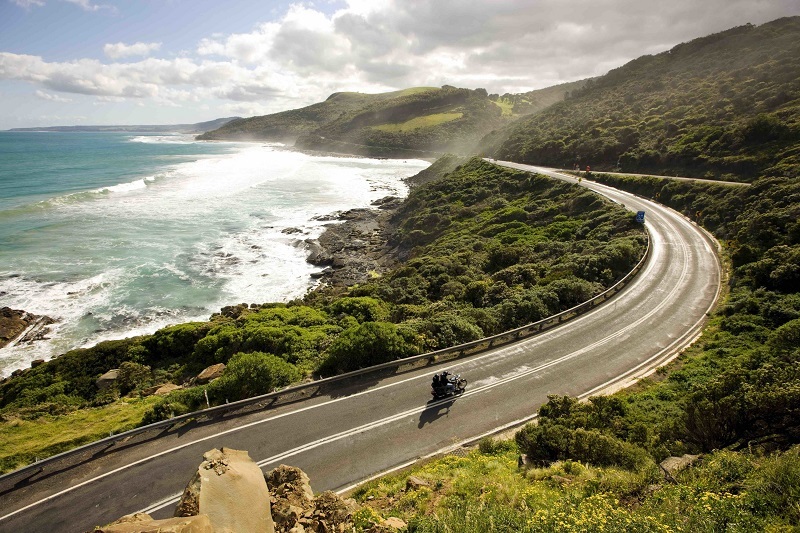 What are the best places to take in the scenery along the Great Ocean Road? 12 Apostles – One of Australia’s most famous coastal sites, see the limestone stacks tower above the often wild waters of the Southern Ocean. Be sure to see them at sunrise or sunset for the most dramatic views and photo opportunities. Loch Ard Gorge – Not far from the 12 Apostles, Loch Ard Gorge was made famous by a ship which wrecked here leaving just two survivors. Explore from above on the cliffs or follow the stairs down to the beach for an entirely different angle and equally amazing views. London Bridge – While part of it collapsed a number of years ago, visitors can still enjoy fantastic views of London Bridge. It’s also a great spot to learn about the natural cycle of erosion which has carved out the coast over millions of years. 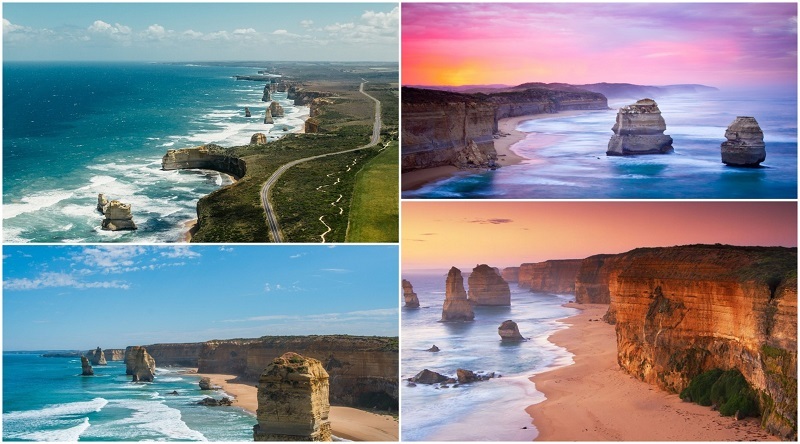 Visitors shouldn’t miss the opportunity to see the mesmerising 12 Apostles along the famous Great Ocean Road, approximately four hours’ drive from Melbourne. The limestone towers rise 45 metres above the sometimes ferocious Southern Ocean. Once part of the cliffs behind them, they were formed through a process of erosion over millions of years, first becoming caves in the cliffs; then arches, before the arch collapsed to leave just the stacks you can see today – some of which have fallen over! If you have time, be sure to visit at different times of day as they change colours between dawn and dusk. What can families expect at the 12 Apostles? Viewing Platform – Walk under the road from the car park and down to the viewing platforms for a better look and, of course, a great photo opportunity. Twelve Apostles Centre – Learn more about the amazing natural process which created the 12 Apostles as well as stories about the region’s cultural heritage. Just a short drive from the Twelve Apostles, Lock Ard Gorge was named after a famous shipwreck in 1878 on the nearby Muttonbird Island. There were just two survivors of the wreck who washed up in the relative calm of the gorge. Enjoy the area’s natural beauty from a number of viewpoints and explore on the walking trails. 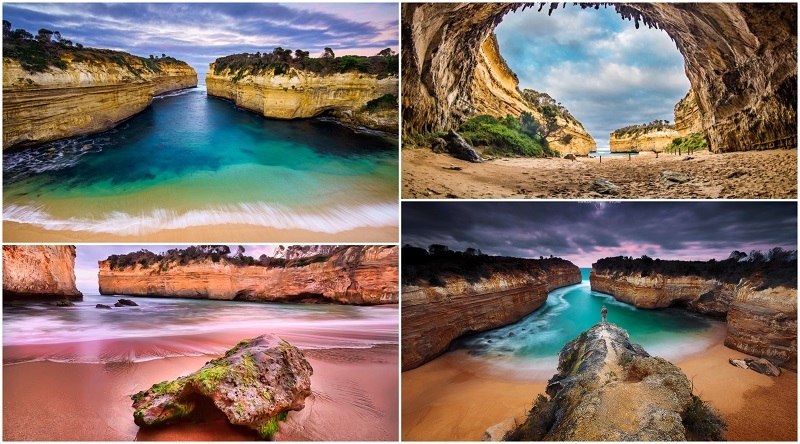 What can your family expect to see at Loch Ard Gorge? Geology Walk – A level loop trail covering 900 metres, it includes The Razorback and Island Arch. Loch Ard Wreck Lookout – An easy 400 metre walk over undulating ground, it is part of the longer Wreck of the Loch Ard trail. Wreck of the Loch Ard – A 1.4 kilometre trail with some slight inclines and narrow in places. Thunder Cave – A sealed, 1.1 kilometre section of the longer Living on the Edge trail. Living on the Edge – The longest of the walking trails, this track is 3.2 kilometres long. 2 km with inclines on bitumen and crushed rock. Mutton Bird Island Lookout – A short one hundred metre stroll to the upper viewing platform or take the stairs down to the lower platform. Stunningly scenic and less than an hour from Melbourne, the Dandenong Ranges should be high on every family’s list of things to do. Explore forests, gardens and lookouts for some fresh air or perhaps take a drive along idyllic winding roads through some brilliant countryside. Check out the works by local artists in a number of studios or pick up supplies at a local craft shop and create your own. What are the top family attractions in the Dandenong Ranges? Puffing Billy Railway – Take a ride on a steam train through quaint townships and amazing scenery. Skyhigh Mt Dandenong – Elevated 630 metres above sea level, this is the highest natural viewing point in the entire state. Look out over the city of Melbourne, Port Phillip Bay and further afield. Dandenong Ranges Botanic Garden – See amazing displays of blooms including rhododendrons, azaleas, camellias, and daffodils. Even when the flowers aren’t in season, enjoy a wander through more than one hundred acres of stunning parkland. A century-old steam train, you can step back in time as your climb aboard Puffing Billy for a ride through the Dandenong Ranges, around an hour east of Melbourne. Stunning scenery awaits with temperate rainforest and magnificent views, as well as quaint towns and villages along the way. 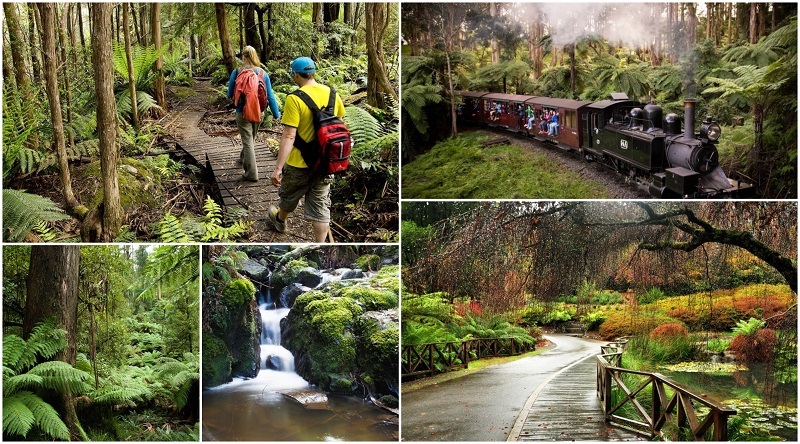 What can families see along the way on Puffing Billy Train? Monbulk Creek Trestle Bridge – The most famous landmark along Puffing Billy’s journey, the Monbulk Creek trestle bridge is classified by the National Trust of Victoria with 15 spans and a length of 300 feet. A car park below is the ideal location for photos of the steam train. The view – Between Menzies Creek Station and Emerald, passengers can enjoy views of Port Phillip Bay, Arthurs Seat and Westernport on a clear day, as well as the Cardinia Reservoir. Emerald – The only original station building still intact along the journey, Emerald township also has shops, bakeries and cafes to explore. Lakeside – A great spot for families to take a break and enjoy picnic and BBQ facilities alongside the lake, as well as walking tracks through the park and a playground. Just an hour from Melbourne you’ll find Healesville Sanctuary, located in the beautiful Yarra Valley. Journey through bushland surrounds and discover some of Australia’s most iconic animals including kangaroos, koalas, wombats, emus, dingoes and even a platypus or two! Be sure to attend at least one keeper talk during your visit and find out how they care for each of the different animals which call Healesville Sanctuary home. 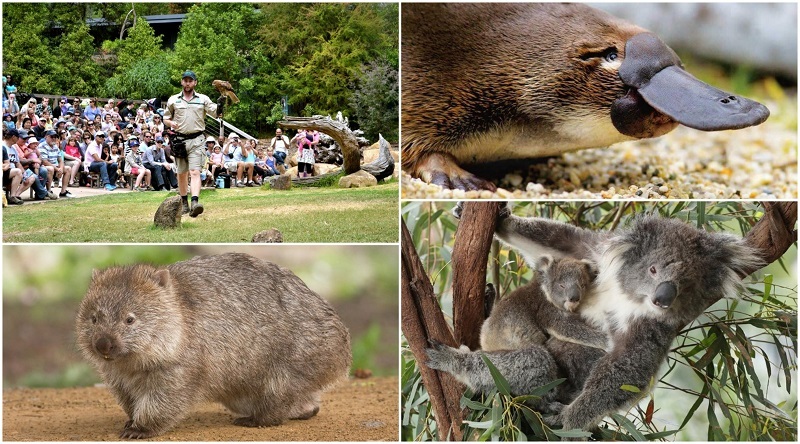 What are the must-sees for visitors to Healesville Sanctuary? Kangaroo Country – See one of Australia’s most iconic animals – the kangaroo – up close at Healesville Sanctuary. Learn more at a keeper talk or wander through the exhibits and find out how they raise their young. Spirits of the Sky – You’ll be in awe as you witness birds of prey take to the sky alongside brilliant parrots. The daily show is a not-to-be-missed experience! Close-up Encounters – Don’t miss your opportunity to get up close to your favourite animal – how about an echidna or a koala? Or perhaps a dingo is more your style? Sherbrooke Forest forms part of the Dandenong Ranges National Park, after it was merged with Doongalla Reserve and Ferntree Gully National Park in the late 1980s. It is located in close proximity to the suburb of Belgrave and around 40 kilometres east of Melbourne. Much of the forest is dominated by the Mountain Ash which is the world’s tallest flowering plant. It is also well known for the population of superb lyrebirds which calls the forest home and is regularly used for study and conservation of the species. 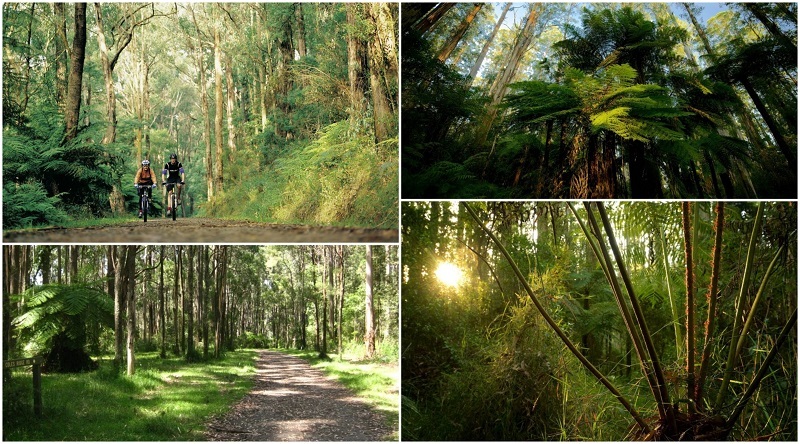 What are the best walking tracks for families to explore in Sherbrooke Forest? Eastern Sherbrooke Forest Walk – This 6.6 kilometre walk will showcase the changing vegetation from wildfires and past land use. One of the best walks in the Dandenong Ranges region, marvel at the Mountain Ash and Messmate Stringybark trees along the way and, if you’re lucky, spot superb lyrebirds, swap wallabies or maybe even an echidna. Sherbrooke Falls Walk – An easy 2.4 kilometre walk through towering Mountain Ash trees and an abundance of fern species in the understorey. Plan your visit after rain for the best vistas as the Sherbrooke Creek tumbles over the rocky outcrops. Just one hour from Melbourne, enjoy all kinds of fun at the Enchanted Adventure Garden – an award winning fun park. 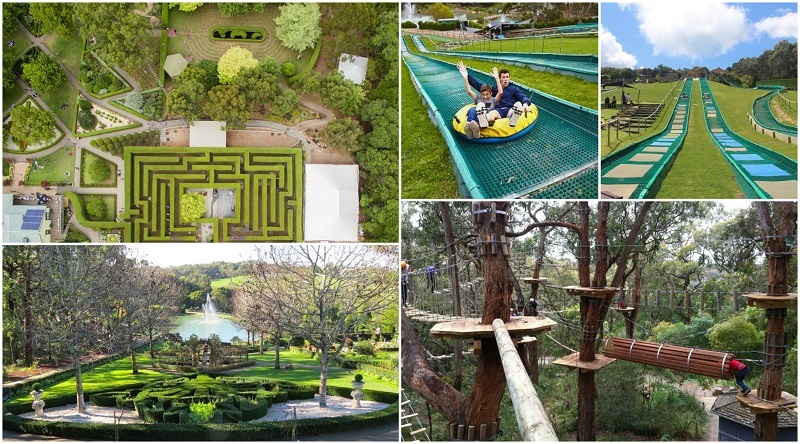 There are hedge mazes, tree surfing, a canopy walk and super-fun slides. Plus, enjoy it all in stunning natural surrounds. Be sure to stop by the lolly shop before you leave! What are the best activities your family will enjoy at Enchanted Adventure Garden? Mazes – There are three magnificent hedge mazes to explore – can you find your way? Tube Slides – Hop on a tube and race down the giant slides – there’s six to choose from with twisters and straight ones, as well as a special one for the kids. The Bush Adventure Scramble – A kids obstacle course featuring a bush swing, pipes to wriggle over and under, a web and wobble board. Canopy Walk – Enjoy the stunning bushland surrounds from up high on the suspended canopy walk with interconnecting bridges and platforms. Tree Surfing Grand – Tackle the aerial obstacles, bridges and zip-lines while up to 10 metres off the ground – it’s challenging for adults and kids! 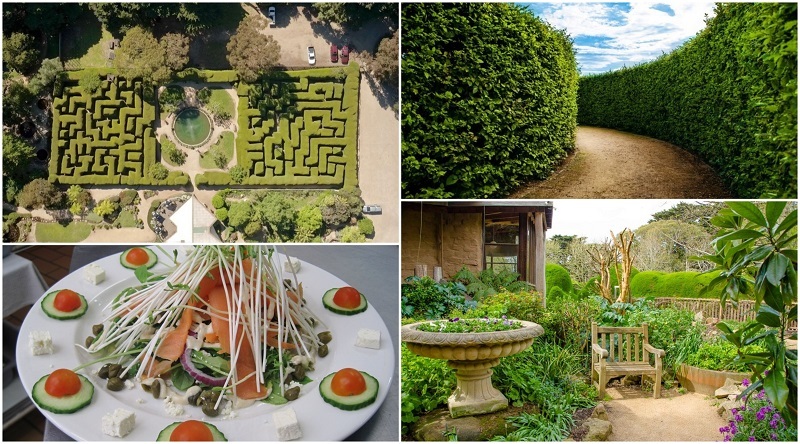 Located on the Mornington Peninsula around an hour from Melbourne, Ashcombe Maze & Lavender Gardens will keep the whole family entertained for hours. The highlight of any visit is the oldest hedge maze in Australia which towers three metres high and is two metres thick. Visitors will also enjoy the circular rose maze, Lavender Labyrinth and gardens stretching over 25 acres. Visitors can also dine at the on-site cafe or pick up something to take home from the gift shop. What can families do at the Ashcombe Maze & Lavender Gardens? The Hedge Maze – Wander through the famous hedge maze, created by the planting of more than 1,000 cypress trees over 40 years ago. Visitors can try to find the four mosaic flags in each half of the maze. Both halves are laid out differently to add to the fun! Ashcombe Cafe – See what items on the menu are created with lavender grown on-site including scones, ice-cream and tea blends. Other menu items feature produce grown on-site as well. Gift Shop – Stop by and see what souvenirs you can take home from your visit including lavender bath and beauty products, jams, cookies and much more. These are some of the most popular day trip from Melbourne, especially amongst locals on weekends. If you want to see more options for a day out from Melbourne CBD, have a look at our other tours.